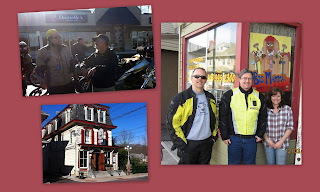 Three of us EZ Riders (Hammy, Tom and me) met up with the PMRG folks at Danielles Espresso Cafe in Ambler, PA. Had some espresso and talked bikes. 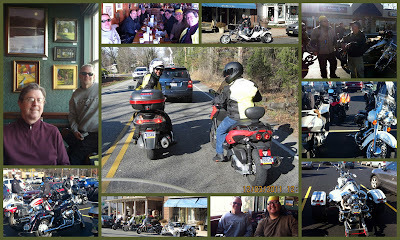 Nice group with some pretty fancy bikes, mostly Harleys. 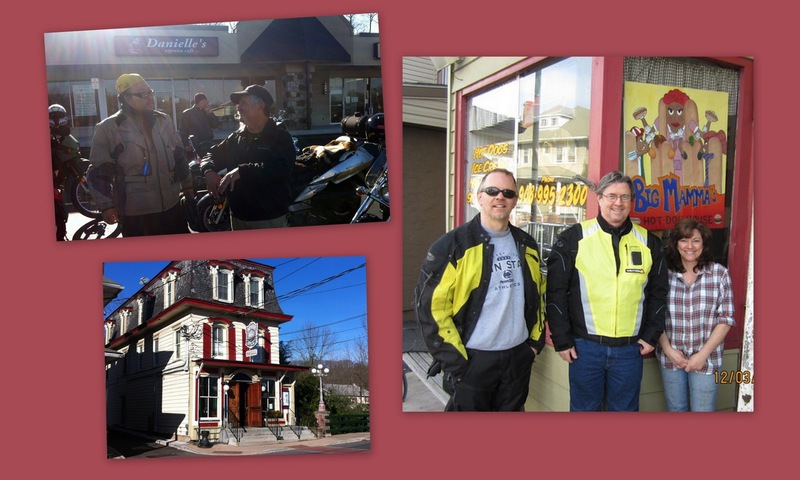 From there the EZ Riders split off, led by Hammy around Lake Nockamixon to Milford, NJ - almost froze my fingers off. Guess what? The Dog House was already closed! 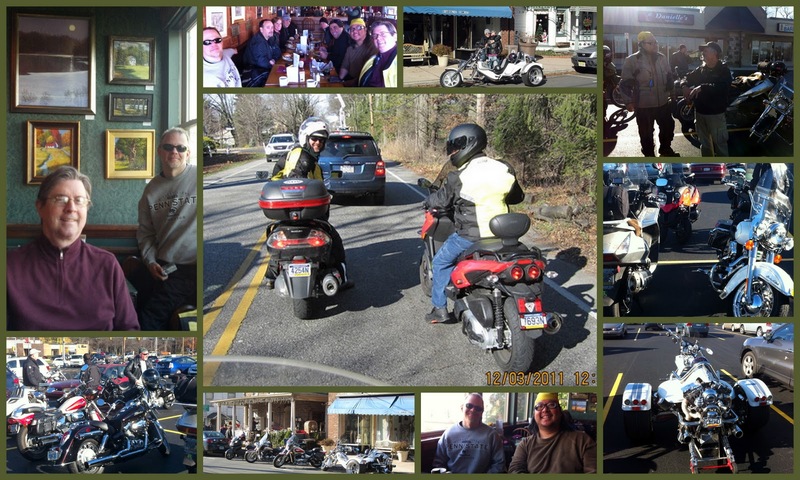 After a parting photo op with Big Mamma, we had lunch across the street at The Ship Inn. All in all, I had a great time despite the cold fingers, met some great people with a passion for riding in common and some (not so good) English food. I'll skip the tongue sandwich next time. View Map of my 120 mile ride.